I love the fragrance of this, and although I had high Hope of it helping my son fall to sleep it did little for that. The bottle design is great however I did not like the texture of the soap and it came out way too quickly..my son ended up wasting half a bottle. It is just a basic wash, nothing incredibly special but of does the job. I will be willing to buy it again. I love how easy this is to apply to lips. It offers great protection and helps to renew lips that are chapped. I love how well this spreads out and it's not greasy after dying. Helps alot with my dry skin especially in the winter. 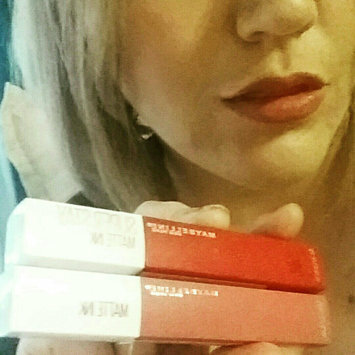 For the most part, I really love the Maybelline SuperStay Matte Ink™ Liquid Lipstick in the color "Lover". It lasts a very long time, staying the same color all day. It is mostly easy to apply, except it dries so fast that there's little room for error because it's super hard to remove. I received a complimentary sample of the water wipes. I really love how moist these wipes are and that they do not contain harsh chemicals. They are gentle yet effective on baby. I however believe they cost a bit much, as I have already purchased one pack at full retail.